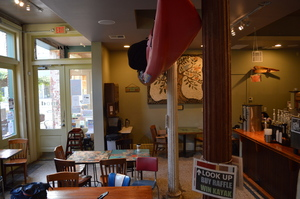 Artist Boat was incorporated as a 501(c)(3) in 2003 is establishing a Coastal Heritage Preserve on Galveston Island and is looking for people who want to explore by kayak! Their grant to acquire the land at the new Coastal Heritage Preserve provides financial resources to launch three years of educational programming from this special place. Public trips are available for $10 per person and school groups are also welcome. The Eco-Art Workshop and Eco-Art Adventure costs $300 altogether for up to 25 students. Space is limited to only one kayak adventure per day at the Coastal Heritage Preserve. 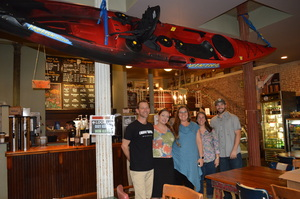 The Viking Kayaks USA Profish Reload will be raffled off at the Float the Boat Fundraiser on December 11, 2015. The event – 6:30 to 10:00pm – will also feature live and silent auctions, dinner, and a wine tasting fundraiser. The event takes place at Ashton Villa 2328 Broadway Galveston, Texas 77550. 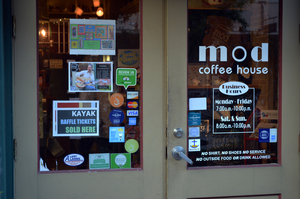 In the month prior to the Float the Boat fundraiser, raffle tickets for the Profish Reload can be purchased at MOD Coffeehouse 2126 Postoffice St, Galveston, TX. Other options include ordering by phone (409-770-0722) or by mail (Artist Boat at 2627 Avenue O, Galveston, Texas 77550). Tickets are $10 each or three for $25. Winners does not need to be present to win. Please plan on booking this well in advance to ensure you get the dates you want for the two-hour Eco-Art Workshop in your classroom and the four-hour Eco-Art Kayak Adventure at the Coastal Heritage Preserve. School groups can book by contacting Amanda Rinehart at arinehart@artistboat.org or (409)770-0722.